An apple a day will keep your skin glowing this season. Fall is here, and that means it's apple-picking season! One of the most popular autumn fruits is most definitely the apple and we know we can't wait to bake apple pies and sip apple cider all fall long. 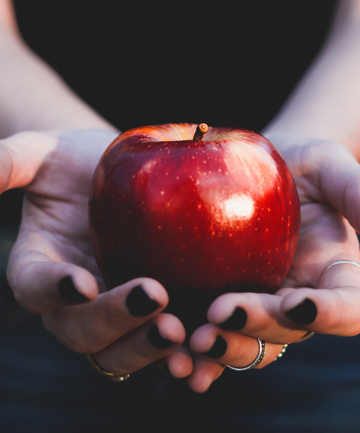 But did you know that beyond being delicious, apples have some serious skin care benefits? According to a study published in the journal Oxidative Medicine and Cellular Longevity, apples are high in antioxidants, including ascorbic acid (more commonly known as vitamin C) and polyphenols, making it an anti-aging powerhouse. Another study published in the journal Future Science OA even found that apple stem cells can help reduce the appearance of wrinkles. Keep reading for our favorite apple-infused skin care products to kick your beauty routine up a notch this fall.